What Made George Lumb Shoot his Mother? Why did Fanny Speed add arsenic to a current berry pie? How did Beefy ad whisk bring disgrace upon the town of Castleford? What made the headlines in the year of Queen Victoria's Golden Jubilee and who were the 'Hung Two?' The answers are all within the pages of this fascinating book. 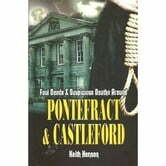 Beginning with a mystery in 1854 and ending on a rope in 1918, Foul deeds and Suspicious Deaths Around Pontefract and Castelford takes a look at some of the dark and shocking tales from the district's history . You my never look at a can of creosote in the same way again. 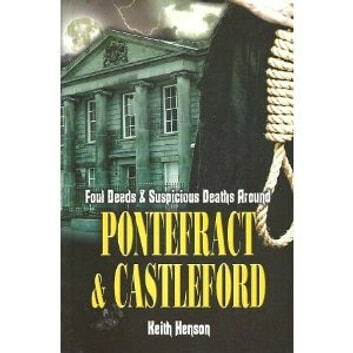 Doncaster born Keith Henson is a photographer, family man, writer, ad, despite the contents of this book ...very normal. He is also author of Foul Deeds and Suspicious Deaths in York.